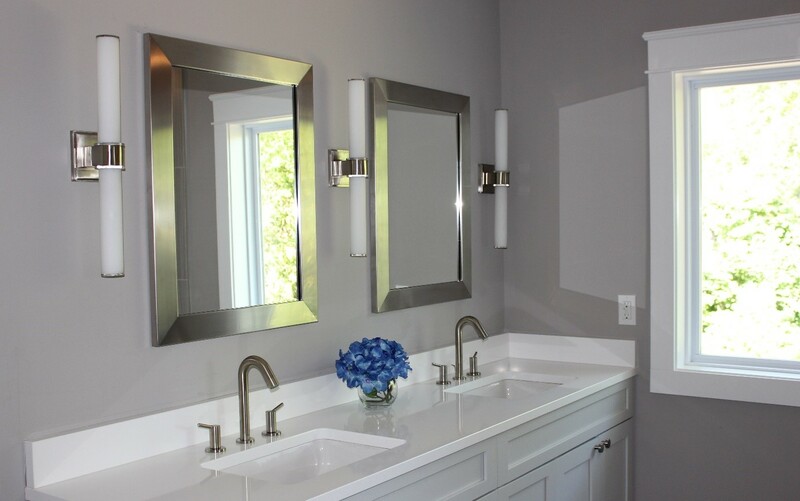 Bathrooms benefit the most from having three light layers to really enhance their looks. Ideally, you’ll need the kind of task lighting mentioned above, along with ambient light such as pendants or chandeliers and accent lighting which is designed for highlighting special features like architecture or décor. If you think of your bathroom in these three steps, the lighting you require will become clearer. If you don’t fancy putting more sconces in your bathroom, pendant lighting offers a stylish alternative. They are ideal for a vanity and can be used as either accent or ambient lighting. Of course, it’s not essential that all your lighting must match, such as wall sconces in the same finish as the overhead fixtures. However, for the overall cohesion of the aesthetic, maintaining the same finish will create more unity in the room’s overall design. The tub area is the perfect space for some beautiful ambient lighting so don’t overlook the opportunity to create a special mood in that area. Ambient lighting will make a more soothing, intimate environment that is almost impossible to achieve with overhead lighting fixtures. If you want to create a cohesive look with ease, then focus your efforts on choosing brass or chrome accessories for your bathroom as they complement everything in terms of décor. Your lighting choices will be influenced by how much space you have to play with. A large bathroom can showcase a grand pendant light or chandelier, making it feel like a 5-star luxury hotel. 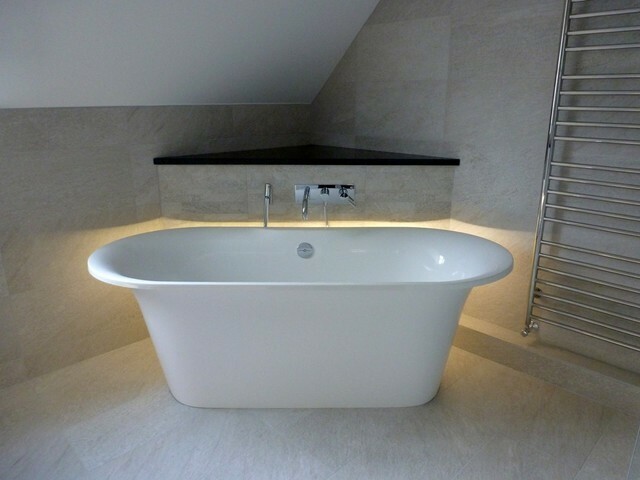 As not many of us can boast having a palatial bathroom, thankfully there is a massive range of lighting options, including mini chandeliers that can be fitted to complement a small bathroom.